The Centre on Saturday filed a petition in the Supreme Court seeking a review of the judgment dated 21st January of the Apex Court commuting death penalty of 15 convicts to life imprisonment. A 3-judges bench of the Apex Court headed by Chief Justice P Sathasivam, in its judgment of 21st January rendered in Shatrughan Chauhan and others, had held that 'undue and unexplained delay in deciding mercy petitions' was a legitimate ground for the convicts to approach the Apex Court seeking commutation of death penalty to life imprisonment. This judgment has now been sought to be reviewed at the instance of the Centre, inter alia, on the ground that the President’s decision in disposing of a mercy petition was beyond judicial review. It was on the basis of the judgment in Shatrughan Chauhan and others, that the Apex Court had on February 18, commuted the death penalty awarded to the convicts in the Rajiv Gandhi assassination case- Murugan, Santhan and Peraivalan, to life imprisonment in a petition filed by them on similar grounds. The Court, in this case had commuted the death penalty of the convicts to life imprisonment on the ground of 11 years delay in deciding their mercy plea by the Centre. Close on the heels of this judgment, the Tamil Nadu Government had taken a decision to set at liberty all the seven convicts in the Rajiv Gandhi assassination case on grant of remission of rest of their sentence. Following this controversial decision, the Centre had moved the Supreme Court assailing the decision of the Tamil Nadu Government to release the 3 convicts in the Rajiv Gandhi assassination case whose death sentences were commuted to life imprisonment by the Apex Court. A 3-judges Bench of the Apex Court headed by Chief Justice P Sathasivam had on February 20, directed the State Government to maintain status quo regarding three prisoners whose death sentence was commuted to life term by it. The Court had further said that the Centre can file a fresh petition regarding the other four prisoners whose sentence has also been remitted. Making it clear that it is not taking away the power of the Government to remit sentences, the Bench, had said that States have to follow the procedure. The Apex Court had also said that the commutation of death sentence to life imprisonment cannot automatically result in remission of the sentence. In its review petition filed on Saturday, the Centre has averred that said keeping a death-row convict in suspense or delay in consideration of his mercy petition by itself could not be a sufficient ground for commuting the death sentence and that in the present case, the issue raised was commutation of the death sentence on the ground of delay, which, it was claimed, attracted Article 21 in favour of the convicts. Therefore, it involved a substantial issue of law as to the interpretation of the Constitution and ought to have been heard by a Bench of five judges, as mandated under Article 145 instead of being decided by a 3-judge bench. 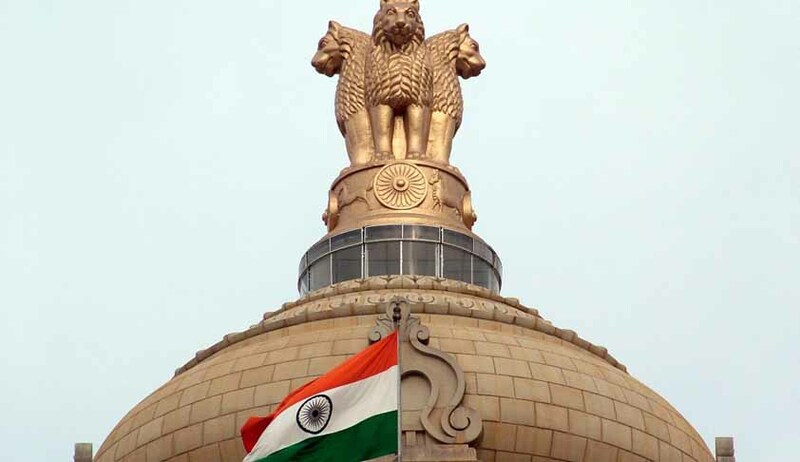 "It is submitted that the interference of the Supreme Court with the merits of the order of the rejection issued by the President in exercise of powers conferred under Article 72 of the Constitution, is without jurisdiction," the Centre said. The Centre further said if the Supreme Court was of the opinion that there had not been proper consideration of their mercy pleas, it could have directed the Government to place the pleas afresh before the President for a proper adjudication.